Audi AG is currently accepting applications for a six-week Future of Mobility Practicum at their headquarters in Ingolstadt, Germany. The practicum offers 12 students the opportunity to find the next innovative ideas to help solve global problems in transportation and urban living. Photo by Audi AG. Undergrad or masters’ students in engineering, design, or computer science and U.S. citizens: this one is for you. Since TheCityFix readers are on the front lines of shaping future urban mobility, we wanted to announce an opportunity from Audi AG, the German car manufacturer, to apply for six-week practicum at their headquarters in Ingolstadt, Germany during the summer of 2014. Offered by the Audi future lab mobility, the AUDI AG Future of Mobility Practicum will give twelve individuals the opportunity to explore the “next innovative ideas in design, engineering and computer science that solve common global problems in transportation and urban living.” Out of the twelve participants, two standouts will be offered a six-month internship with the Audi AG Technical Development team in 2015. This could be your chance to work with a giant in the automotive industry at the cutting edge of hybrid and electric technology. U.S. citizens who are currently enrolled in an undergraduate or master’s program in engineering, design, or computer science are eligible to apply for the practicum. Submissions for applications opened on October 25 and will close on November 30. Winners will be announced in January 2014. Interested applicants can apply here. For more information about the practicum, check out Audi’s YouTube video. 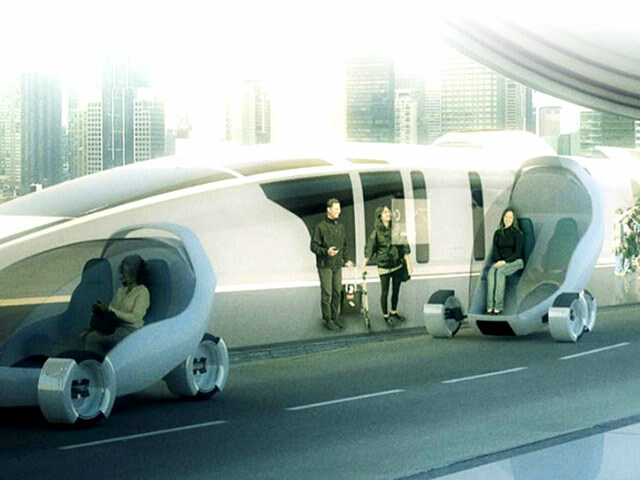 The Audi AG Future of Mobility Practicum is offered as part of Audi’s urban future initiative. Photo courtesy of Audi AG. Friday Fun: Vote for the Audi Urban Future Award!